In Acts 3, there is an account of the healing of a crippled man by the apostle Peter. The apostle had no possessions with him. All he had was the anointing of the Holy Spirit but when he spoke into the man’s life, the crippled man miraculously gained the ability to walk again. If this happened during the days when Christ was rejected by His own people, how much more is the power of the Spirit in these days when God’s people are returning to their spiritual homeland and reconciling with Him. These are the days when God is restoring the fullness of the Gospel, shared Pr Tsukahira. There will be a wave of spiritual life that is going to come and a reestablishment of God’s original plan. 2000 years ago, the apostle Paul wrote that he was not ashamed of the Gospel for it is the power of God even unto salvation. Paul wrote often to the early church – to the Galatians and Ephesians for instance – about faith. ‘All you need to do is to believe. Believe and you’ll enter into the Kingdom of God,’ was the refrain. These early churches consisted of first-generation believers who were originally from paganistic background. Essentially the wonderful thing about faith was that it was a great leveller among Gentiles and Jews in the eyes of God. It did not matter that the Gentiles were just newly come to their relationship with God and that the Jews had a 1000 years of history and scripture dating from the time of Abraham. Even as Gentiles, we don’t have to stand in line nor are we second-class citizens in God’s Kingdom. We’re all co-heirs, equal citizens, fellow children of God. In order to understand the fullness of the Gospel message, however, we need to understand it in the way it was written for the Hebrew people. Now, 2000 years after the Church started, we’re no longer like those early Ephesians; first-generation believers. ‘Today we have a whole lot of resources, commentaries, sermons, studies etc, just at a click of a button, all in the comfort and privacy of our home. Christians today are at a position that the Israelites were during the time of Paul,’ Pr Tsukahira said. ‘When we study what the Gospel meant to the Israelites, we will come across a notable emphasis on behaviour. What they did and the produce that came from their actions mattered.’ This is all encapsulated in what it means to be saved and what it means to be a Christian. In Luke 10, Jesus told the Parable of the Good Samaritan. Pr Tsukahira explained that the context came about out of a test posed by a Biblical scholar unto Jesus. It took the form of a query on what it takes to earn eternal life (Luke 10:25). In true Jewish fashion, Jesus threw the question back unto the scholar. The scholar gave the very answer that Jesus Himself would have given; to love God with all our being and to love our neighbour as ourselves. The scholar had knowledge, derived from Scripture found in Deuteronomy and Leviticus. In order to justify himself, he then asked Jesus concerning who his neighbours were. This was the background behind Jesus’ parable. In the parable, we read of how a man was robbed and left to die. A priest passed by. Out of propriety to the Jewish Law which rendered a man unclean and unfit to come before God’s presence if they touched a dead body, the priest went to the other side of the road and walked past. A Levite came and did the same. And then a Samaritan came. The Samaritan was a people that were hated by the mainstream society. They did not believe in the whole Bible nor did they believe in worshipping at the temple. Instead, they had a mountain in Samaria where they conducted their worship. Worse than traitors to the larger community, they were seen as heretics. ‘Jesus didn’t share the Samaritan beliefs. We know this because of the account of Jesus’ conversation with the Samaritan woman at the well. In that conversation, Jesus corrects her beliefs. In fact, he told her that the Samaritans worshipped what they do not know (John 4:22).‘ Why then did Jesus use the Good Samaritan as an example of a neighbour and not the priest or the Levite? Pr Tsukahira imparted that we can see how serious this is if we take a look through three parables in Matthew 25. This was at a time when Jesus’ ministry on earth was drawing to a close. 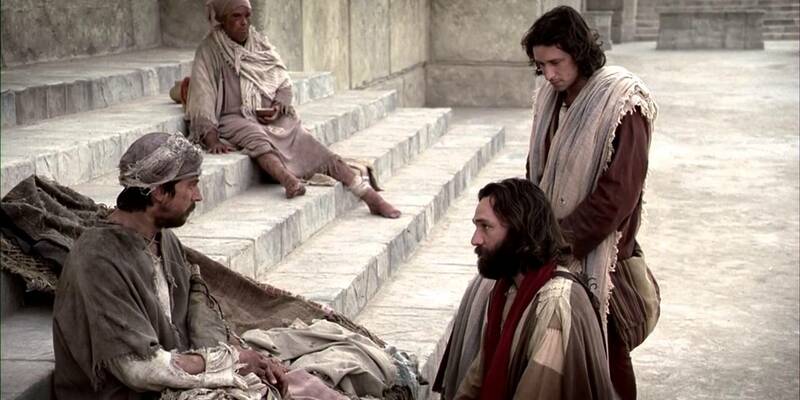 He was preparing the disciples for the days when He would no longer be physically with them. In all three parables, Jesus spoke about His second coming, the day of judgement and the eternal reward. The noteworthy thing is that Jesus was speaking to believers; everyone who was there was a disciple. 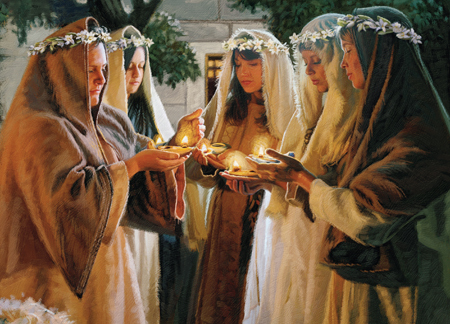 First of all, He shared with them the Parable of the Ten Virgins. Five of them were wise, five of them were foolish. Being uncertain when the Bridegroom would return, the wise ones prepared themselves for the long-term. The foolish ones were only prepared for the short-term and allowed their oil lamps to run out. These foolish virgins ended being locked out into the darkness. All ten were believers who were looking forward to the Bridegroom’s return. The difference is in the fruit of their beliefs and the actions that resulted from it. In the second parable, Jesus shared about the gifting of the talents. One man was given 5 talents, one of them 2, and a third man one talent. The first two men took their talents, went out to town, took some risks, invested the money and had a hundred-percent return when the Master came back. The third man buried the money in the garden. The third man did not steal nor did he waste the money. He kept it secure. And yet the Master threw him out into the darkness where there was a gnashing of teeth. Again, the Parable is about accountability and the action and the fruit of belief. Where then do we start? For this, Christ taught the disciples through a third parable, this one the well-known one about the sheep and the goats. We start by finding something that will practically help the weakest, the most broken, the poorest and the most helpless people among us in our society. And the significant thing is that Christ said that all we do unto these people we’re doing unto Him. ‘If we want our culture to change, it always has to start from the bottom to the top. Not scratching and clawing our way to the top but looking near to our neighbours. Who are the people near you that have less than you? The people who are hopeless, crushed, with lives going nowhere? Right belief must lead to right behaviour. Today, many Christians believe that they’re saved solely by faith. But there is also another side to the coin, Pr Tsukahira said. In James 2, James wrote that faith without good works is dead for even the demons believe in God. In James 2:17, he wrote that a saving faith must show tangible effect, for faith without good works is dead. Pr Tsukahira imparted that we need to let our light shine before the world. Start by praying but don’t stay there. Pray and then go out and do the work that God has prepared for each of us. Good works come when we obey God. Dead works come from distractions and everything that takes us away from the good works that God has prepared in advance for us. 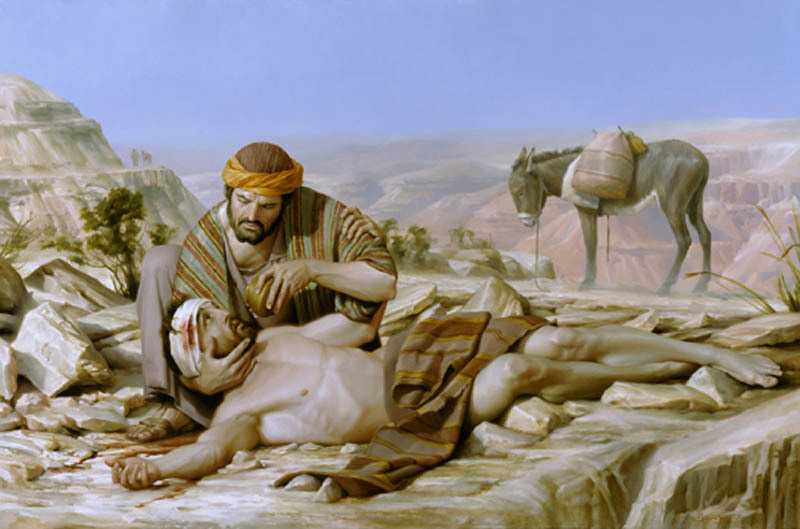 The Good Samaritan transcended racial, religious, and social barriers when he helped the wounded man on the road to Jericho. Though he had the most reason out of the three men who came across the traveller on that day not to help, the compassion out of his heart resulted in right behaviour. In the same way, each of us must find our place in the Kingdom of God. 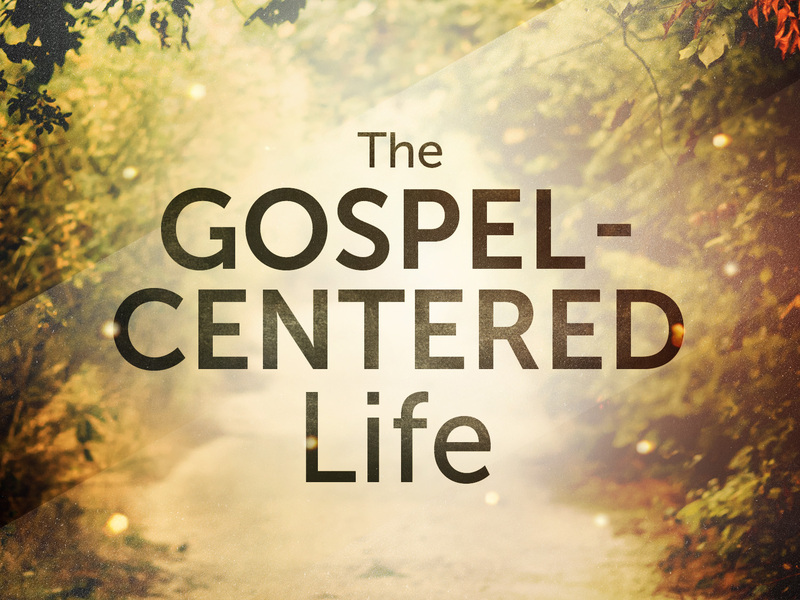 No longer should we be ashamed of the Gospel but instead we must translate it into visible fruit of the Spirit, potent enough to bring salvation and to transform societies and mold cultures. Pls keep me on your mailing list. God bless.